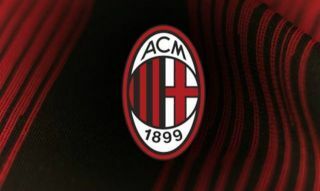 AC Milan have reportedly already begun identifying possible signings for next year with Rodrigo Caio and Lucas Paqueta on their transfer radar. The Rossoneri had a busy end to the summer transfer window, with Gonzalo Higuain, Mattia Caldara, Samu Castillejo, Tiemoue Bakayoko and others all arriving at the San Siro. In turn, Gennaro Gattuso will be hopeful that they can go on and secure Champions League qualification after back-to-back sixth place finishes in Serie A, but reports suggest that they could be looking at options to strengthen the squad further. According to Calciomercato, Caio and Paqueta are both touted as targets, while it’s also suggested that Riccardo Montolivo could still be on his way out of the club after being snubbed by Gattuso for the pre-season tour of the USA. With Lucas Biglia, Franck Kessie, Giacomo Bonaventura and Bakayoko all ahead of the midfield stalwart in the pecking order to play in midfield along with Andrea Bertolacci and Jose Mauri, it’s difficult to see where the veteran fits in and plays a key role. With that in mind, an exit would seem to make sense for both parties, but with the deadline for most of Europe set on August 31, time will tell if a satisfactory offer comes in. As for the incomings though, it’s questionable as to whether Caio is needed, as although the 25-year-old has impressed in his homeland, Gattuso already has Alessio Romagnoli, Mateo Musacchio, Caldara and Cristian Zapata at his disposal. Therefore, another central defender doesn’t seem necessary at this time. In contrast, Paqueta has bagged six goals and three assists in 34 league games at the age of 20 and continues to impress. Perhaps his ongoing form for Flamengo could be enough to earn a move to Italy in the near future with Milan having a rich history of players coming from Brazil to emerge as stars with the likes of Kaka and Alexandre Pato in mind.